Where can you rent low cost car from Burgas? All offices of Low Cost Cars can be seen here. Where can you rent low cost cars in Burgas? You can easily rent a car from our offices in the centre of Burgas – at parking lot of Plaza and Galeria Mall, but you could also rent low cost cars from our office at Burgas Airport. For your comfort we offer free delivery to every single spot in the city. Low Cost Cars has diversity of well serviced cars at best prices. Why renting low cost car from Burgas? Convenient office locations – at the airport, centre of the city as well as in Sunny Beach resort. Variety of cheap cars for rent all year round. Perfect starting point for your trip on the Sea coast and Bulgaria. A lot of mountains and sea resorts nearby. 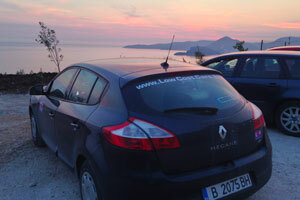 Where can you drive by renting low cost car from Burgas? Burgas is preferred tourist destination especially during the summer season because of all interesting sites and sea resorts nearby. The most reliable, comfortable and safe way for transporting in Burgas and the area is with low cost car for rent. During the season the demand for cheap cars for rent is extremely high, that`s why we strongly suggest making your booking in advance will save you any disappointments. Burgas and rented from Low Cost Cars vehicle provide easy access to all resorts on the Sea Coast. The car will save you unpleasant waiting at the bus stops and railway stations. Why choosing low cost car for rent in Burgas? What you should know before renting affordable car from Low Cost Cars Burgas? In case you are already booked a vehicle, you should know that the pick up and drop off processes can take up to 15 minutes in normal conditions. It is better to bear that in mind especially if you need to take a bus or flight. This will save you any problems with the transport and you will be always on time. You can choose a car directly from Low Cost Cars office, but it is possible to wait in case the chosen vehicle is not ready for the rental yet. We provide the cars once we are sure that they are clean, with full tank and in good technical condition. We suggest making the reservation in advance. Renting a car from Low Cost Cars for 4 or more days will give you unlimited mileage.